OLATHE, Kansas – (November 29, 2018) – According to the Pew Research Center, 80 percent of people engage in online shopping today, and this holiday season that trend will continue. People love the convenience of online shopping, but there is a downside, too. Narrowing down the right gift, especially for the man who has everything, can be a daunting task. Type “gifts for men” into Google and you get over 1 billion results to choose from. The Fishing Caddy helps make the decision simple, affordable, and ensures that the person receiving the gift is going to love (and use) what they get. The Fishing Caddy is the world’s first all-in-one fishing system. Created by Joe Pippins, the caddy offers anglers an easy and simplified way to head out fishing. Features on the caddy include two rod holders, a cup holder, live well for storing fish, tackle box, and a padded seat option. 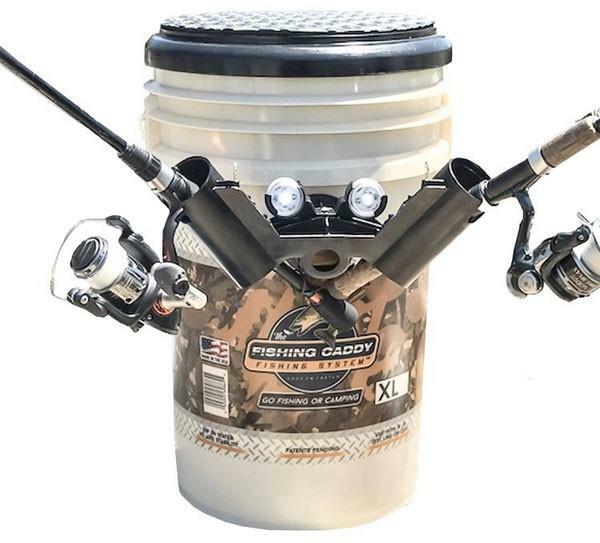 The Fishing Caddy is made in the USA and comes with a two-year warranty. For more information, visit the site at: https://thefishingcaddy.com. I am truly loving this idea. I live near a lake and while my husband doesn't fish I know a ton of friends who do. This is a wonderful gift!